What a GREAT Adventure on Turkey Day! 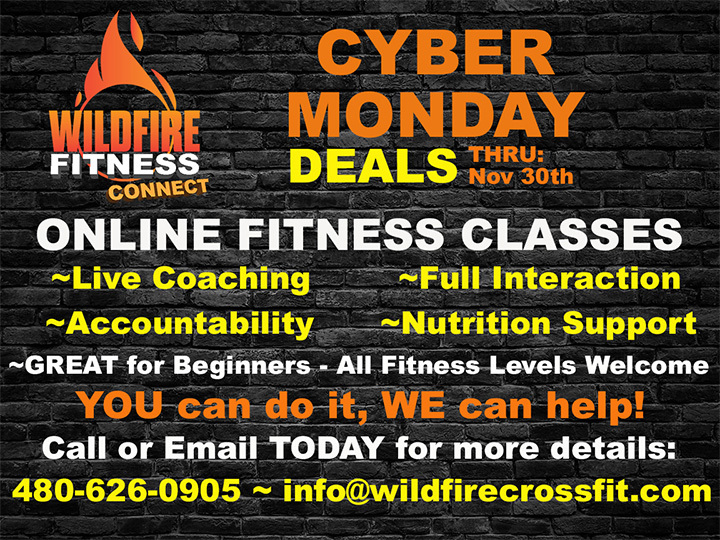 The 6th Annual Turkey Day Adventure at WildFire CrossFit was a BLAST! Thanks to everyone who came out participate in this awesome event for a great cause! At 8am, over 60 athletes participated in the 5K. Some ran it as fast as they could, and others enjoyed the scenery and company as they followed 408 flags around the 3.1-mile course. The course was well marked, and this was the 3rd straight year that nobody got lost. In fact, there were some impressive times. As CrossFit Kid, Drew B., was passing Coach Tiffany at the tent, she overheard him saying, “No 2nd place this year!” It totally made her day, and he ended up finishing ahead of the always speedy Coach Damian as well as his Dad, Brian B. who were both close behind. Parents brought their kids and dogs to take on the trail and everyone made it in good time. Everyone did a great job and had a lot of fun. And the most important part, everyone was there, TOGETHER, for a great cause. Then, at 9am, we had our annual Turkey Day Family workout. Coach Tiffany got everyone warmed up before they formed teams and were given all the equipment that had to be carried around the building. At each corner, each member of the team had to do 5-Med Ball Thrusters, 10 Tire Jumps, & 10 Tire Dips. In addition, each piece of equipment had to be carried in a different way. It was a GREAT day and one of our favorite parts about the Thanksgiving Holiday! 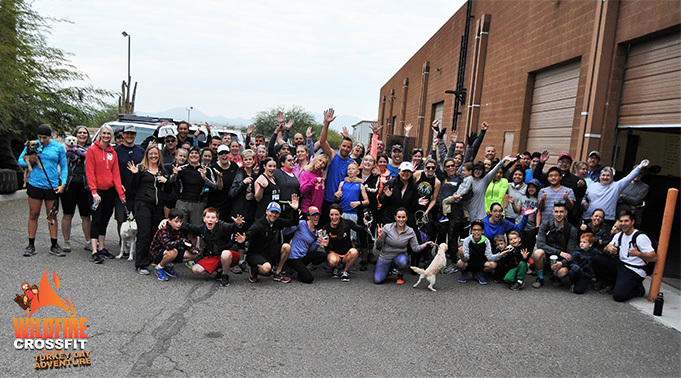 We love that so many families make this their Thanksgiving Day tradition and we’ll continue to make this a tradition at WildFire CrossFit. Refer a Friend and get Membership Discounts, Store Credits & MORE! !